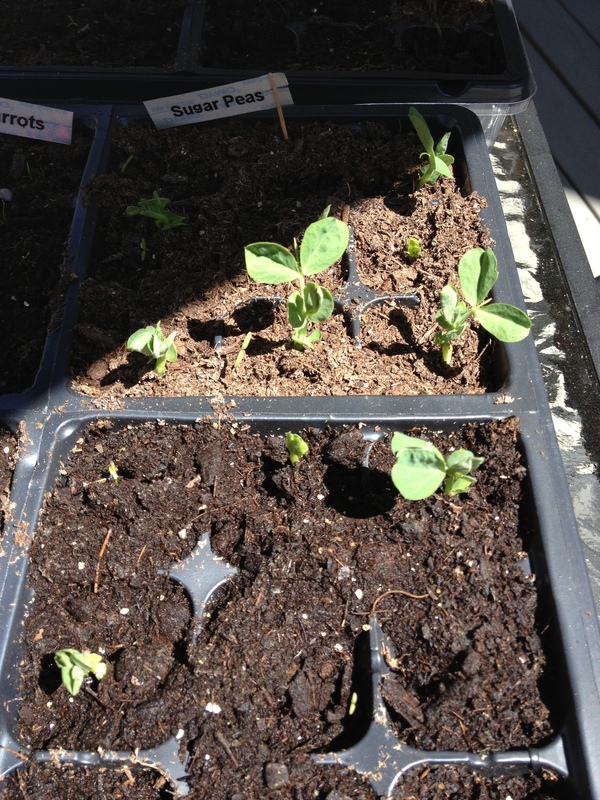 I started many of my veggie seeds about 3 weeks ago now, I started them inside so that I can allow the plants a longer time to grow so their season will be increased. Living in Northern Ontario only allows for a short growing season. Planting indoors helps to extend that season! 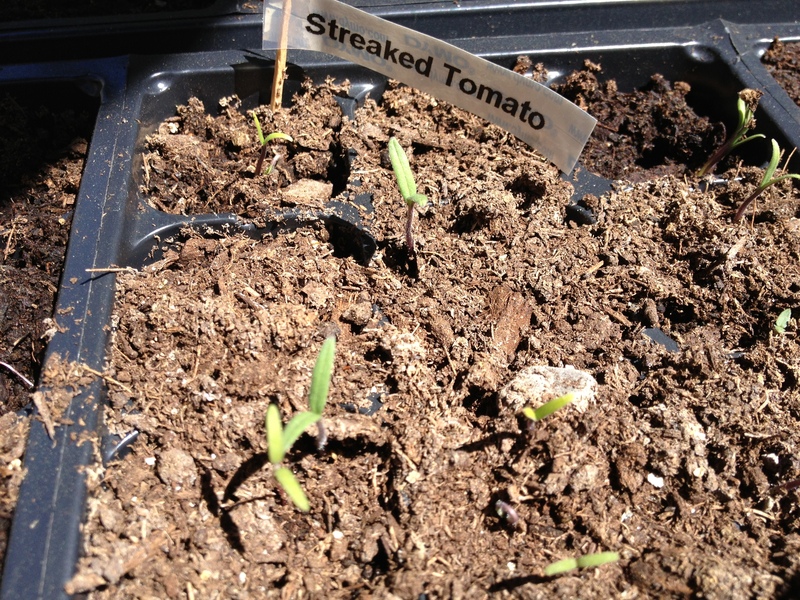 I planted many of the veggies that take a longer time to grow (red peppers, tomatoes, brochali, celery, etc). 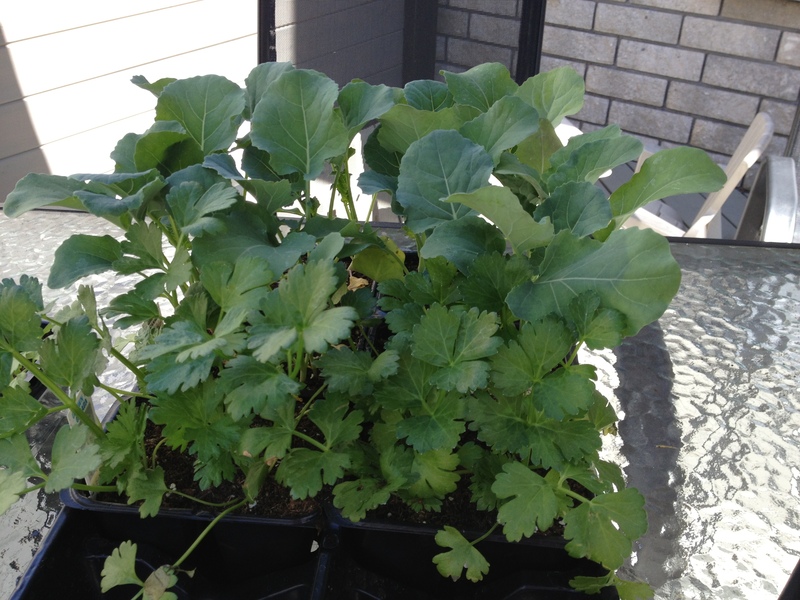 It is amazing how much they grow indoors and I am looking forward to trandplanting them outside in a few weeks! I keep them indoors at night and bring them out during the day to get plenty of sunshine. 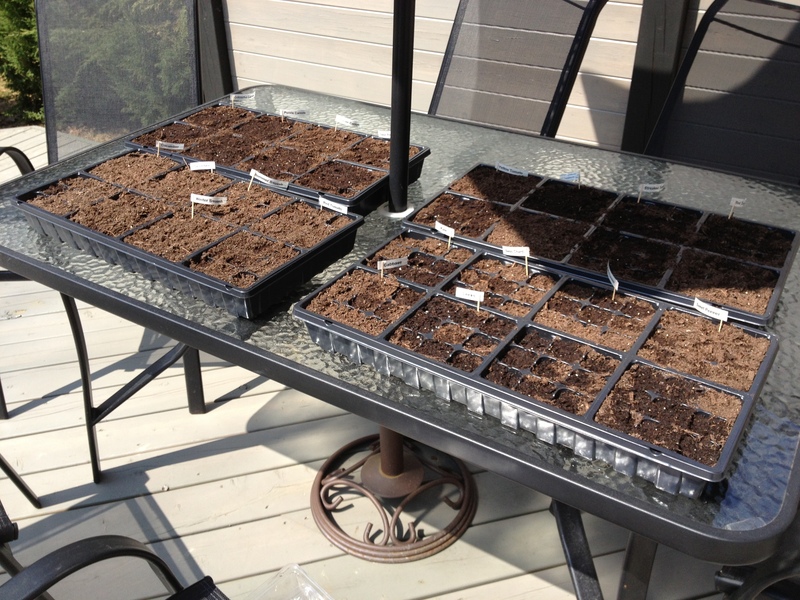 Many of the other seeds can be sown directly outside into the garden because they grow quickly. 2. Fill the containers with soil. 3. Plant one seed in each section and water. 5. Water every day and give plenty of light. 6. Within a couple days you will start to see them spout. Once they get too big for the container transplant them into a bigger container OR if the weather permits transplant them outdoors. It is that SIMPLE! I also started my herbs so that my herb garden will be usable all summer and we will have fresh herbs to add to our cooking. Last year I got a dehydrator which I plan on useing for any excess herbs, as many of your know some herbs spread like crazy and we just can keep up with the growth. Rather than wasting them we dehydrate them and use them in the winter time. Feel free to post any questions for comments, I’d also love to see pictures of your garden starters!! I will post again soon the second part of this blog which will discuss outdoors garden, plants, soil quality and the importance of planting specific plants in certain areas of your gardens. May you enjoy these sunny day. May you be blesses as you watch God’s creation grow and produce an amazing harvest!!!! 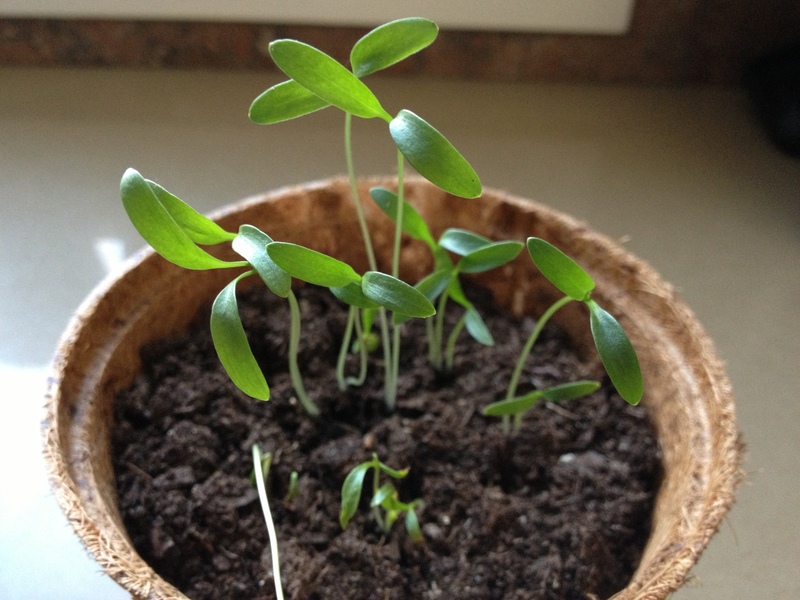 Posted on May 7, 2013 by Emma	• This entry was posted in Gardening. Bookmark the permalink.